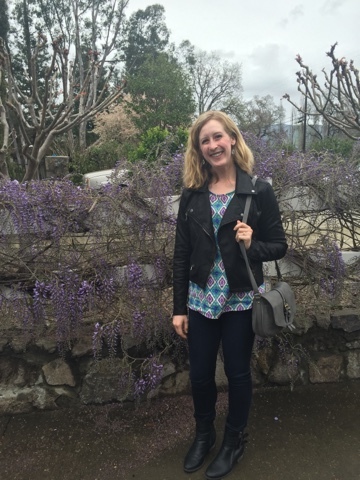 After a day of trying on bridesmaid dresses, Elyse and I headed to wine country for what would be my last (!) trip there for awhile. For the last year, I lived in Sonoma county and frequented wine country at least once a month so its sad to be saying goodbye without knowing when I'll be back. We decided to celebrate by trying a few new wineries. 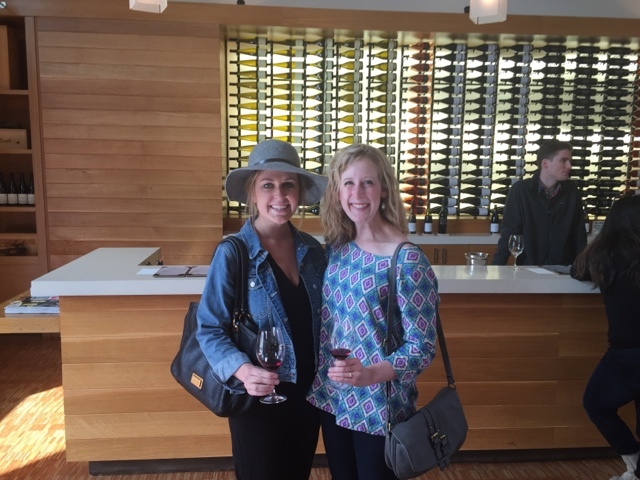 Yummy chardonnays, delicious pinots and a beautiful tasting room. Obsessed with the light and airy look here. This fun tasting room is owned by Clif Family wineries (of Clif bars!) and served us some tasty nuts and chocolate along with our glasses. 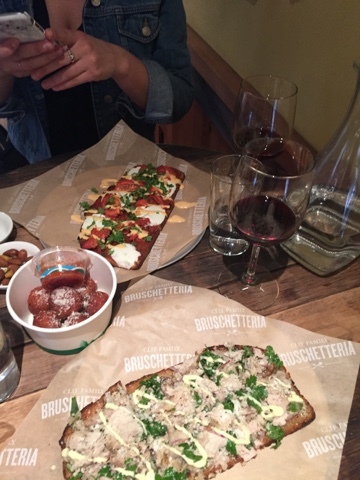 They are also home to the famous Bruschetta food truck on the weekends so we had a delicious lunch from there while we enjoyed our wine. We made an appointment here purely because of the name and found a quaint and friendly tasting room that is even home to a lovely pup. We enjoyed the wine and conversation. Bye bye for now Napa!